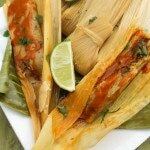 Puerto Rican Recipes Archives | Page 3 of 4 | Mexican Appetizers and More! 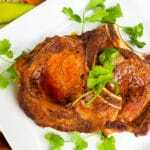 If you enjoy Puerto Rican Cuisine, you will love this section of delicious Puerto Rican recipes. 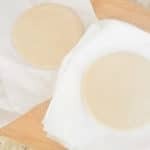 Learn how to make popular dishes such as, Puerto Rican Rice and Beans, Pollo Guisado (Puerto Rican Chicken Stew), Rellenos de Papa (Stuffed Potato Balls), Sorullitos (Cornmeal Fritters) and Habichuelas Guisadas (Puerto Rican Beans) just to name a few. Learn how to make the most popular base to most Puerto Rican dishes, Sofrito. 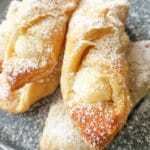 Try delicious Puerto Rican desserts, such as Pastelillos de Guayaba (Guava Pastries). Whatever you choose to make from this section, you are sure not to be disappointed. Garlic tostones (fried plantains) are the perfect side dish to any Latin/Hispanic meal or served as an appetizer or quick treat. 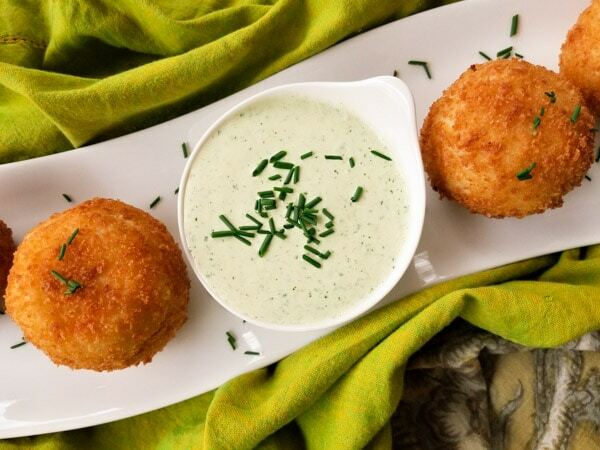 Served with a delicious garlic aioli sauce. At some point, you may have come across tostones (fried green plantains) and surely if you are of Latin or Hispanic decent. 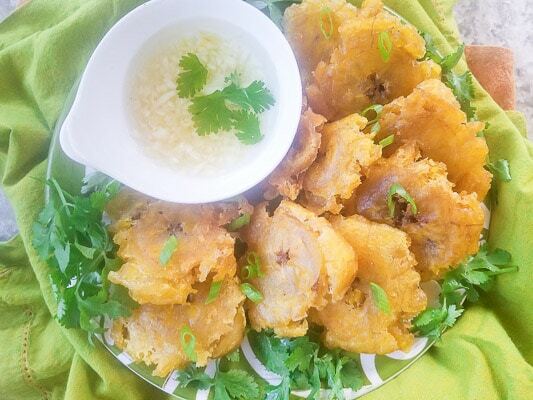 Or if you have traveled to the Caribbean, Central America, South America or countless other countries like India, Africa, Spain, South East Asia you may have come across fried plantains in some form…. Pastelón is a classic Puerto Rican recipe sometimes referred to as Puerto Rican Plantain Lasagna. Delicious and simple to make. Serve by itself, with a salad, avocado slices or with yellow rice. Pastelón (Puerto Rican Plantain “Lasagna”), is a delicious classic Puerto Rican dish made with ground beef, ripe plantains and cheese. If you have never had it and you love plantains especially ripe plantains, then you will love this dish. 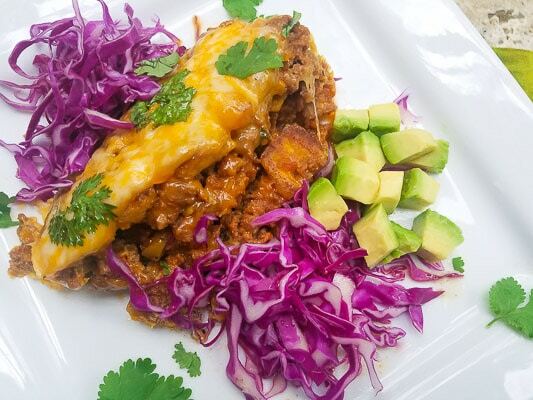 You will sometimes hear this dish called the “Puerto Rican Lasanga.” This is because you have 3 layers of plantains, beef and cheese…. 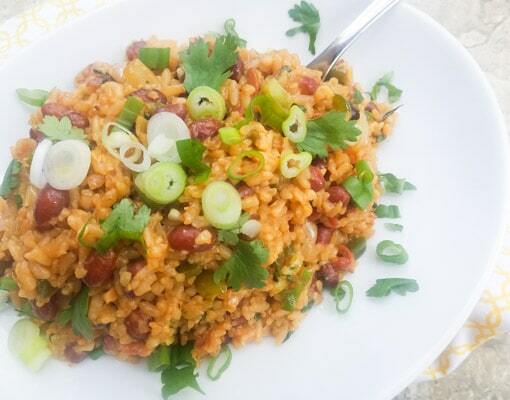 This Arroz Mamposteao recipe ( “Dirty Rice” and Beans) is a delicious Puerto Rican rice dish that I have always loved. A blend of white rice, combined with stewed beans, bacon, onions, peppers and spices creating the most flavorful rice. Perfect side dish for pork chops, steak and chicken. Today we are going to take a step away from Mexican dishes and other Latin dishes and specifically talk about another delicious savory Puerto Rican dish, Arroz Mamposteao…. 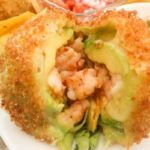 Rellenos de papa (stuffed potato balls) recipe: deep fry genius creation of potato meets savory picadillo and then covered in a crusty heaven! Flavorful picadillo (ground beef hash) surrounded by creamy, smooth mashed potatoes and then rolled in cornstarch, panko breadcrumbs and fried to golden brown perfection. Absolute yum! 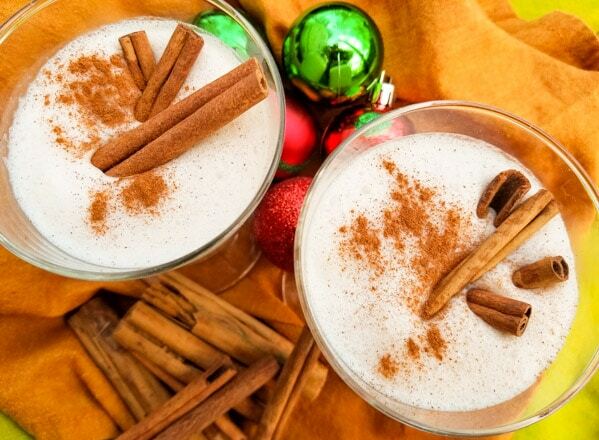 This Coquito Recipe-Coconut Eggnog is absolutely delicious! Serve with or without alcohol. Made with cream of coconut, coconut milk, sweetened condensed milk, evaporated milk, vanilla and cinnamon. Rich, creamy and all sorts of yummy in a glass. The only eggnog recipe you will ever need. When Christmas comes around I immediately bring out the decorations. I start gathering my ideas for what I’m making for breakfast, the desserts the traditional delicious dinner I’ll be making and the special drinks I’ll be serving. But one traditional drink that always makes the invite to my home is, Coquito.